Do you guys remember my Halloween porch from last year (click HERE if you missed it)? 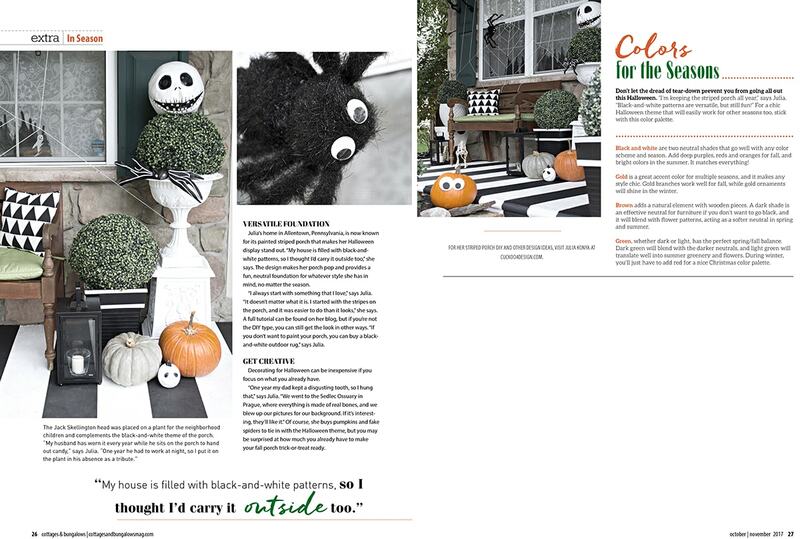 Well it is in the current issue of Cottages & Bungalows which is up for grabs on the newsstands right now and with Halloween fast approaching you can maybe get some ideas for your own home. 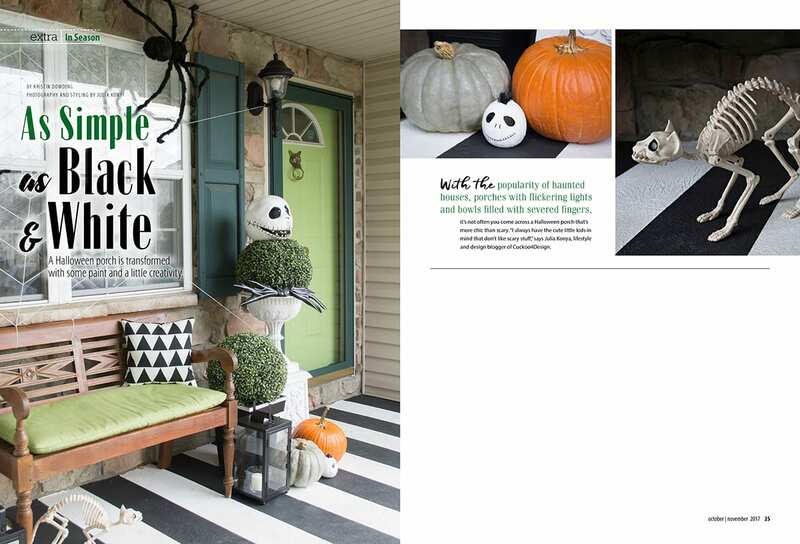 Maybe this gives you the little push to paint your own porch in black and white stripes. I know a lot of you have talked about painting your own porch this way. You can find the tutorial HERE. 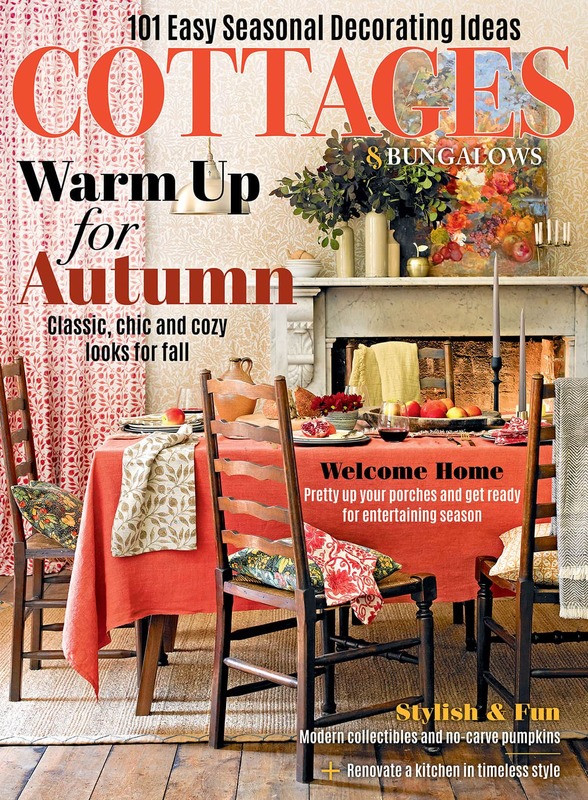 I’m thrilled to see our porch in print and thank Cottages & Bungalows for the opportunity. I am so happy for you. I will head out today and pick up a copy. Thank you for brightening my day. Congrats. I remember your porch from last year. Loved your colors. Will definitely pick up a copy. Thank you for the inspiration! That’s awesome – congratulations! Nightmare Before Christmas fanatic here and loving this! I am so excited for you. I’ll pick up a copy and say “hey, I know who that is!”. Congrats. I can’t even imagine how it feels to see your house in print.